Whether is be fires, earthquakes, floods, or nuclear attacks, we are all susceptible to being in a disaster zone. How does it affect real estate? Let’s keep an eye on the recent fires to gauge what we might expect if disasters came our way. I mentioned in a tweet that I thought the Santa Rosa real estate market would be invigorated. There should be more demand for the homes for sale from the affluent folks who don’t mind buying another home, rather than rent. We can also imagine that contractors have rushing to the scene to offer their rebuilding packages, and/or buyouts. Hundreds of people are probably setting up temporary living arrangements on-site, and many if not most will eventually rebuild. But it is the ones that don’t rebuild that will make the market for the next 1-2 years – and the speculators who buy them out and rush new product to market will be the ones who bring back the old values quickly. 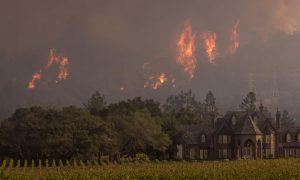 Last week, Jeff Sugarman escaped his burning home in Santa Rosa, California. This week he faced the horrors of the region’s housing market. One of the first inquiries Sugarman made was about a rental house nearby that was listed for $3,700 a month on Zillow. But when he emailed about seeing it, the owner told him the price had soared. “He said insurance companies had been calling him all day and they were willing to pay $4,700 to $5,000 (to house fire victims) so I’d better be prepared to pay more,” Sugarman said, adding that he told the landlord he was “appalled” and “this was wrong”. Sugarman passed the communications to the local newspaper and the US justice department, which he said was investigating price gouging in the wake of the northern California fires that killed at least 42 people and destroyed 8,400 buildings. A spokesman for the California state attorney general’s office said investigators planned to enforce a price gouging provision in the state penal code that prohibits anyone from raising prices more than 10% following the declaration of a state of emergency. Sonoma County supervisor Susan Gorin, wearing a respirator and boots as she sifted through the ash of her destroyed home last week, said it was her lower-income neighbors who were most likely to be displaced from the area. Adrienne Lauby, who runs Homeless Action, an advocacy group in Santa Rosa, said there were at least 3,000 homeless people in the area before the fires and the numbers were going up. Gorin said the board should look at options such as trailers from the Federal Emergency Management Agency (Fema), recreational vehicles and cargo containers converted into homes.